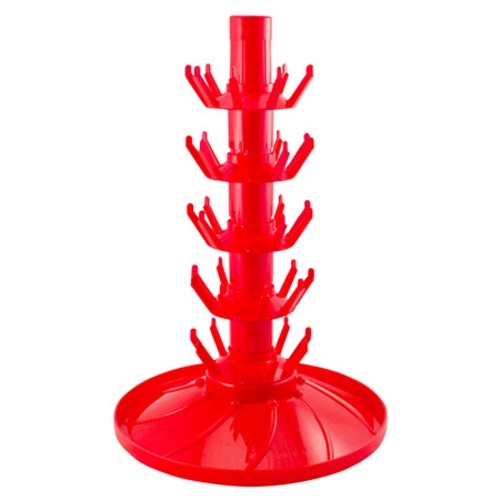 45 seat bottle tree with a rotating base, so that you can more easily access all of the bottles. This style bottle tree is taller than the Economy bottle trees, and has more room between levels so you can fit wider bottles like 22 oz beer and wine bottles. The sanitizer injector (OE950) can be fitted to the top for a complete sanitizing and bottle draining package. Made by Ferrari Group in Italy.